Twenty years of Dummies books means $5 rebate coupons for you! Get a $5 rebate for any “For Dummies” books bought in March. Head here for the Rebate Form. Posted: March 1st, 2011 under Books, Upgrading and Fixing Computers Do-It-Yourself For Dummies, Upgrading and Fixing PCs For Dummies, Windows 7 for Dummies, Windows XP For Dummies, Second Edition. Where can I still buy Windows XP? Posted: September 21st, 2009 under Upgrading and Fixing PCs For Dummies, Windows XP. How do I add Bluetooth to my PC? 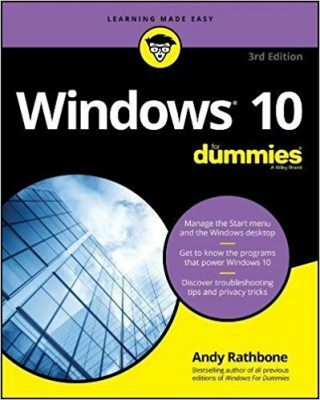 Posted: September 2nd, 2009 under Hardware, Upgrading and Fixing PCs For Dummies, Windows 7, Windows Vista, Windows XP. Posted: August 31st, 2009 under Hardware, Upgrading and Fixing PCs For Dummies, Windows Vista, Windows XP.